When I started this series I always intended to include wine people I met along the way not only here in Australia but overseas as well. 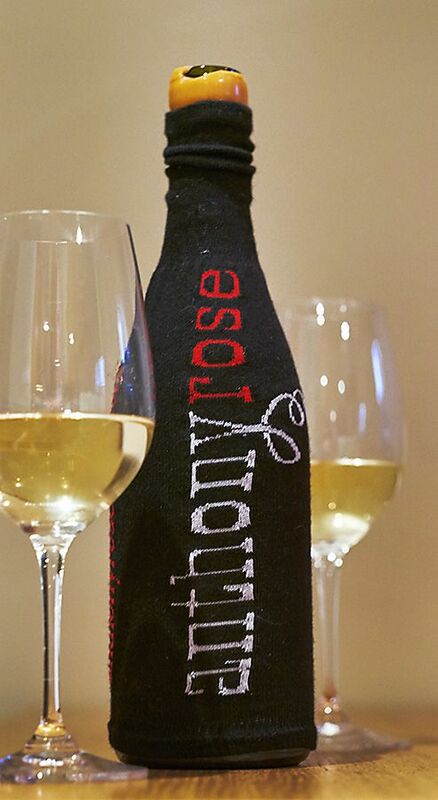 I first met Anthony Rose at a ‘Penfolds Rewards of Patience’ tasting in Adelaide in 1999. I was one of the photographers, Charmaine Grieger was our assistant. Anthony was one of the tasting panel. He and Charmaine got on very well and married not long after. They now live in London, but he’s a regular visitor down under. 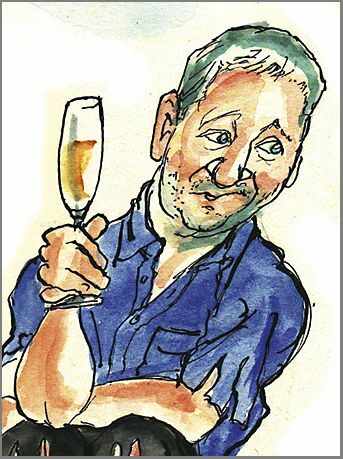 I was in London earlier in the year and thought he may have some interesting things to say about the world of wine. Here’s his story. What is your current role ? 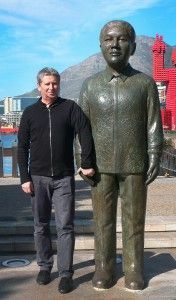 I am a freelance wine writer for UK Newspaper The Independent and its sister paper the i. I also contribute to Decanter Magazine, The World of Fine Wine, Fine Drink China, and, time permitting, I jot down occasional musings and rants in my blog on anthonyrosewine.com. 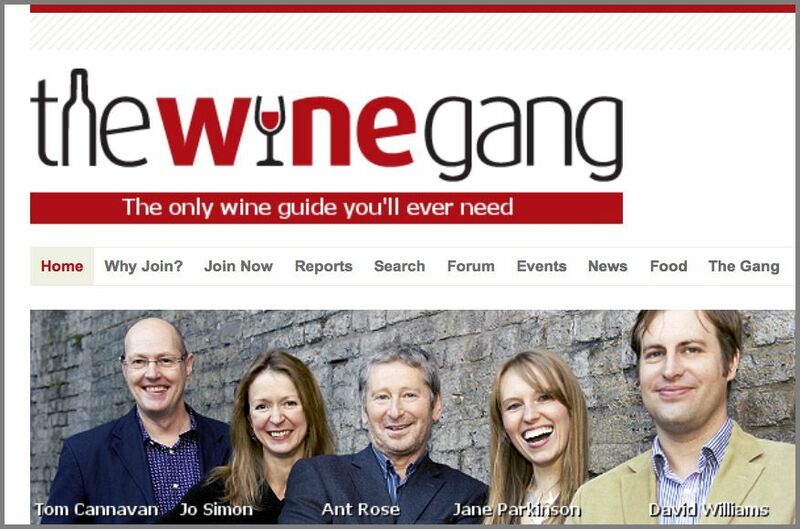 I’m a founder member of The Wine Gang, a group of five journalists in the UK. We have a subscription website and arrange consumer wine events in London, Edinburgh and Bath. Wine writers can be a bit remote from their readers but our events allow us to come nose to nose with consumers. What was your career path ? I studied modern languages at Oxford and then law after graduating. My parents were both barristers, so it seemed like an obvious career path – to them. After qualifying, I practised for a while. They say practice makes perfect, but a general law firm was not my cup of Earl Grey. I met an inspiring pro-minorities lawyer in Texas and developed an interest in welfare law, not the kind of law my father had in mind for me. He’d rather have seen me as something in the City. I was on a salary working for a central London Law Centre. We covered welfare areas such as housing, immigration, social security and unemployment. I covered the Brixton Riots, got knocked off my bike during the riots by some of the guys we were defending. They let me go when I told them I was their lawyer. It was a good job, and, being stubborn and anti-establishment, I enjoyed the challenge of taking on authority and bureaucracy. But, you win a case, they change the law, it’s one step forward, two steps back. Worse still, you lose a case and your client suffers. I was banging my head against the proverbial brick wall. What got you interested in wine ? I got interested in wine as I became increasingly disenchanted with working in an office. I was in my late 20s, I started to read the odd wine magazine. Then for some reason or another, I’m not sure why, I started to read a wine book or two and I got the bug. My girlfriend at the time was a consumer journalist which gave me a tempting glimpse of the freelance lifestyle. I thought that instead of being desk bound for the rest of my life and commuting from A to B and back to A and going to evening meetings, why not be my own boss as a journalist and travel and meet people who were doing something to bring enjoyment to the lives of others. I realised that there was more to life than what the French call métro, boulot, dodo: tube, work, bed. My father was an influence. He had been told by his doctors he shouldn’t drink wine but he was still collecting wine because he was interested in it. He went round the Home Counties snapping up bottles of Château Cos d’Estournel, a Bordeaux second growth, from Cullens, when they had them on special offer. 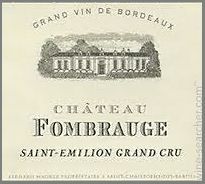 One Sunday lunch when I was in my teens he poured a bottle of 1961 Château Fombrauge, a St Emilion Grand Cru. It was liquid velvet. I thought if this is what good wine tastes like, I want to know more. I had one or two other similar experiences. As a teenager on an exchange to the Île de Ré, I remember my French friend’s father pouring a wonderfully silky red for dinner once. I wish I knew what it was. At university I drank pretty much anything that came my way, but my favourite wine was Château Chasse-Spleen. I’d buy it cheaply from the Buttery without really appreciating its quality. I was studying Baudelaire and Chasse-Spleen was one of his most famous poems. More recently, I bought a case of the 2000, which is fabulous. 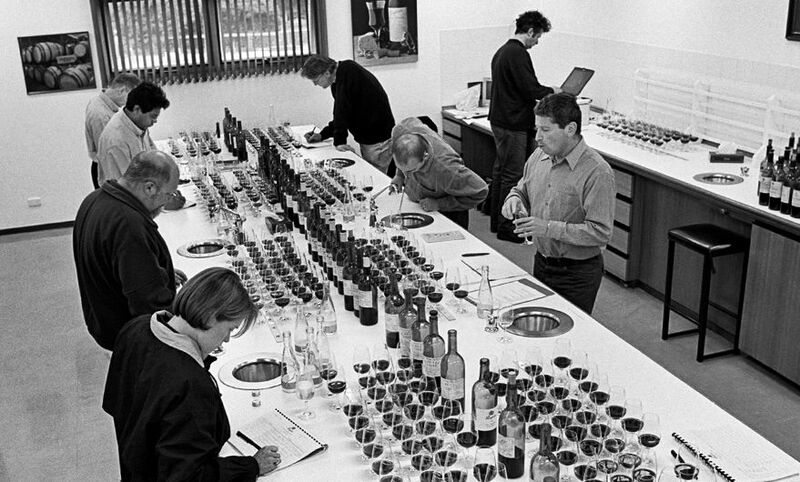 Did you study anything relating to wine ? Simon Loftus’ Anatomy of the Wine Trade. I did the Wine & Spirit Education trust elementary course because it was a fun thing to do in the evenings here in London. There’s a very simple multiple-choice question exam. It was an attempt to learn a bit but I probably got more from magazines like Wine & Spirit and Decanter and books too. 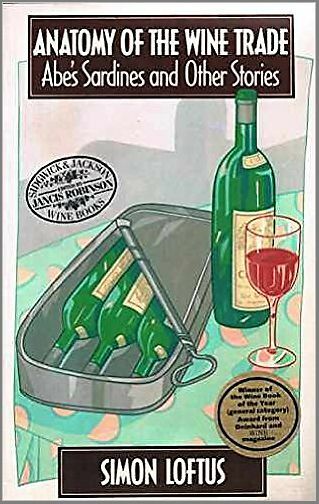 I lapped up Edmund Penning-Rowsell’s book, The Wines of Bordeaux, Hugh Johnson’s WINE, Simon Loftus’ Anatomy of the Wine Trade and Burton Anderson’s Vino. I started to become interested in the process of winemaking and what made one wine different from the other, what made one good quality and another less good, what gave one wine character and another not. I decided I had to know more about it. How did you get your start as a wine writer ? I applied for a job on the Independent Newspaper when it was just starting up. As a new venture the editors were open-minded and looking for young people who didn’t necessarily have proven a track record. The year before I had won a wine competition in The Observer Newspaper. You had to write an essay saying something bold, new and imaginative about wine for everyday drinking. My entry was on what wine would be like in the year 2010 and I won. 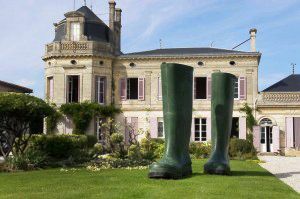 The prize was a week for two at Château Loudenne in Bordeaux. I went with my then partner who was pregnant with our son and we had an eye-opening week. The people were generous, especially the Bartons of Château Léoville-Barton, who invited us to Sunday lunch purely on the strength of us hanging around outside the gates of the Château looking in and then starting up a discussion with Lilian Barton, who was doing some gardening. I thought wow this is incredible I can see a future in this. Meanwhile, thanks to my friend Charles Metcalfe, I had written a short piece for WINE Magazine lampooning the 1855 classification. So I applied to the Independent on the strength of just two pieces and to my surprise they offered me the job of wine correspondent. It was a bit difficult to start with as I was overlapping law and wine writing. I realised I couldn’t go on turning up in the office after a boozy lunch and sympathise with or act effectively for the man or woman whose divorce I was handling, so I left the law. My first articles for the Independent were typewritten and either handed in by me personally or dictated over the ‘phone to copytakers. I am still working on the Independent today, the second longest serving wine writer on a National UK newspaper after Jane MacQuitty who’s still at The Times. 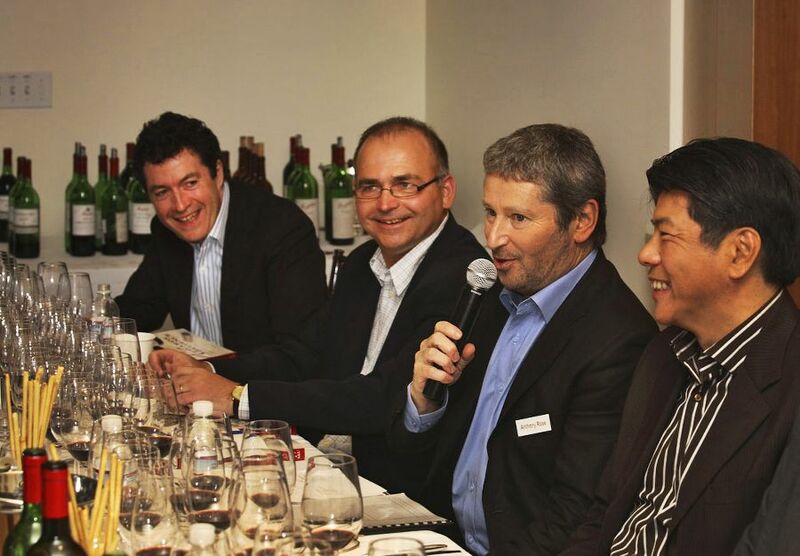 Ant on the Penfolds ‘Rewards of Patience’ Panel in San Francisco. Photo supplied. If you wrote that 1,000 word essay now, what would you say ? That’s difficult to answer because the way I responded to the original question was I looked into the future. My story was on what people would be drinking in 2010 and while I got some things right, I also got some things horribly wrong. I thought that wine investment would be a thing of the past whereas if anything it’s grown into a monster. I completely failed to predict the rise of the New World. And I had no idea that the internet would become as important as it has or social media such a big deal. You mentioned the New and Old World wines, how do you see that now ? Houghton’s White Burgundy : Now call White Classic. At the time I wrote that competition essay the main thing I missed, as I say, was the New World, because that was in 1985. Back then the New World was barely a twinkle in our eye. It just didn’t register on the radar. I remember going on a trip with my then partner to Melbourne. Her aunt gave us a Houghton’s White Burgundy to drink and I thought ‘hmmm, I could drink more of this’, and in due course I did. In our eye in the UK, we were only peripherally aware of the New World. There was a small amount of Californian wine and that was about it. I was extremely fortunate though because within a very short space of time the New World was making its presence felt, in particular with Chilean and then Australian wine. At the time there was a big distinction between Old World and New, almost as stark as terroir –v- grape variety. Today, both have learnt from each other and the distinctions are less obvious, or even relevant. 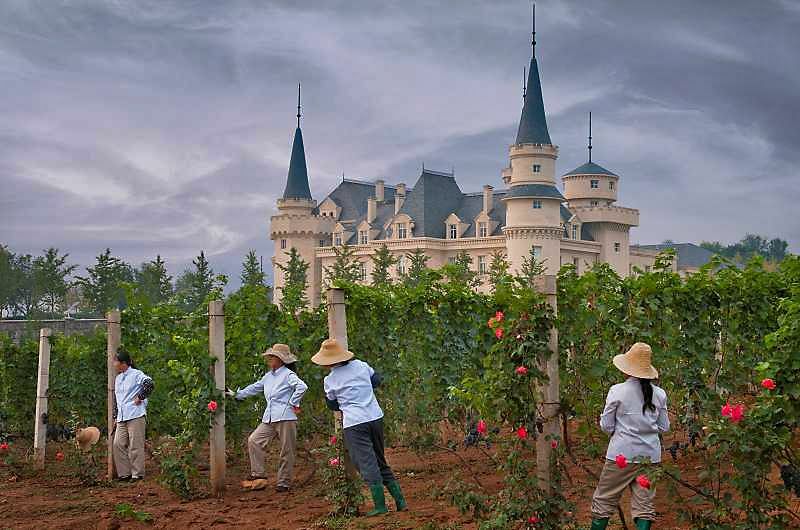 How did you get to travel to the New World wine areas. I started out on The Independent pretty much travelling only in Europe because the editor thought I should be focusing on the three B’s. i.e. Bordeaux, Burgundy and Beaujolais. 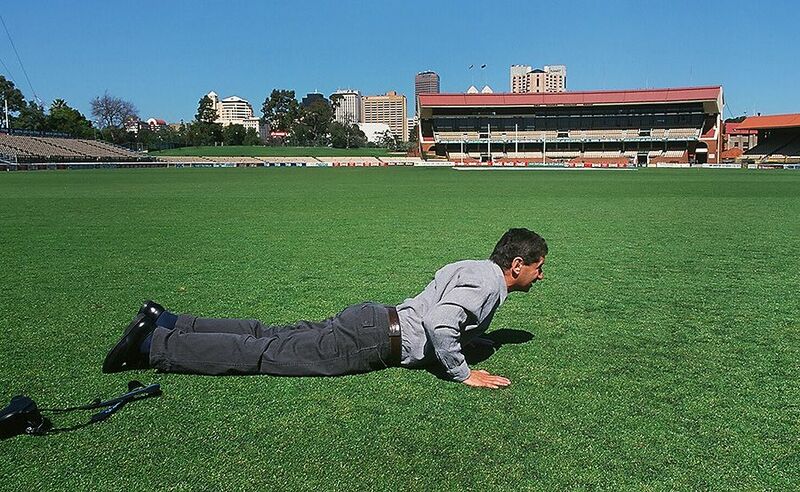 Then, I had a lucky break in 1988 when I was invited as an ‘international’ judge in California in the Qantas Cup, a wine competition between Australia and California, refereed by the very wise Peter M.F.Sichel. There were three American, three Australian and two ‘international’ judges. 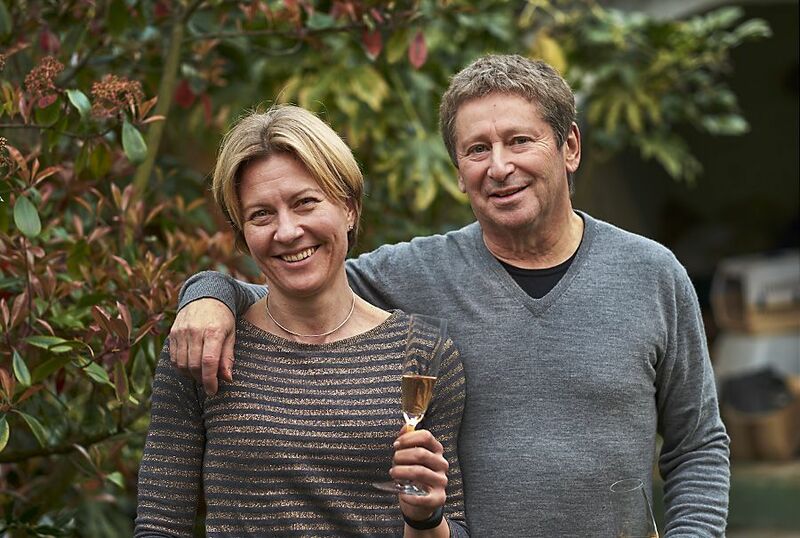 Hugh Johnson and Oz Clarke had judged the first competition in 1987 and this was the re-run with Jancis Robinson and Oz Clarke as the internationals. Luckily for me, Jancis had just written a very critical review of one of the American judge’s books and so she disqualified herself. At the eleventh hour I was thrown in at the deep end to replace her. It was both an exciting and terrifying experience. 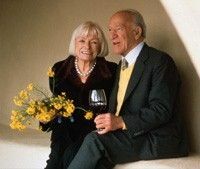 The judging was held at the Robert Mondavi winery at Oakville in Napa Valley and Robert Mondavi and his wife Margrit Biever would join us for lunch every day. It certainly opened my eyes to New World wines in double quick time. The Australian team was Len Evans, James Halliday, and Ian McKenzie, the Americans Darrell Corti, Terry Robards and Andy Dias Blue. Australia won hands down, which was all a bit embarrassing, especially since Len’s, James’s and Ian’s wines did particularly well. The Americans thought the Aussies had spotted their own wines and cried foul. On the strength of my participation, Len Evans invited me to judge the Canberra Wine Show the following year in Australia. So it kick started my love affair with the wines of the New World, especially Australian wine. At the end of the night after I arrived in Canberra, we were eating a roast peacock that the organiser, Edgar Reek, had cooked as a special treat for all the judges. Are there any areas exciting or invigorating that you see currently. Absolutely. There have been various golden ages of wine but there’s no doubt we are right now bang in the middle of the most golden of them all. Wine is no longer regarded in civilised countries as a threat or something unhealthy, or only for the elite or something to get drunk on. We live in a much more open-minded and accepting society today. We can celebrate wine’s character, its diversity and the many amazing qualities it brings to our social lives. It’s given a lot of people around the world the confidence to say that they would like to join the party and make wine in countries or regions where they never thought it was possible. Of course, you still can have your classics, the great French, Italian, German and Spanish wines, but now we can look beyond that. We can look towards Argentina, Uruguay, Canada, parts of the US beyond California, South Africa, Australia and the resurrection in Eastern Europe, not forgetting the new wines coming out of Asia, China and Japan in particular. We would never have contemplated this as a possibility a while ago and so in a sense where 10 years ago we perhaps said there are two worlds of wine, that is the Old World and the New World, we now have three worlds of wine, the Old, the New and the New, New Worlds. 2011 Wiston Rosé is one of the finest English rosé bubblies Anthony has tasted. Even little England. No-one had mentioned or thought of England when I started writing about wine. It was the pastime of retired Colonel Blimps and geeks. It was a laughing stock. It’s not a laughing stock today. I think this year this year the English will produce 5 million bottles of wine, mostly sparkling, and a lot of it is really good stuff. With the advent of technology, savoir-faire, consultants, and roving winemakers, this sort of thing is happening worldwide. The fact that even at the basic level wine has to reach a certain quality level means that most of the rot-gut plonk of yesteryear is disappearing. No-one wants or needs it any more. Any problems you see ? Of course there are dangers if you look into the cristal ball. Climate change is probably the biggest threat in my view. It’s the biggest potential threat to quality in warmer regions of Chile, Argentina, Australia, California and South Africa, even Southern Europe. In the last 20 years, alcohol levels have gone up at least 2%, but unless a specific style or inherently powerful grape variety, most drinkable wine that’s refreshing should ideally be around 12 .5 to 14%. If there were a viticultural solution that would be ideal: reducing yields, optimising irrigation, changing the direction of the trellis and managing the canopy. It’s a huge challenge and it’s not to be underestimated. Climate change brings linked problems, such as water shortages. I have seen the Murray River all but dry up, and if this happens again, and similar phenomena occur elsewhere, major problems will ensue. There’s also the question of agrochemicals and how to minimize pesticides, fungicides and herbicides in the vineyard. Many producers and regions are addressing the issue, but, equally, many are not. 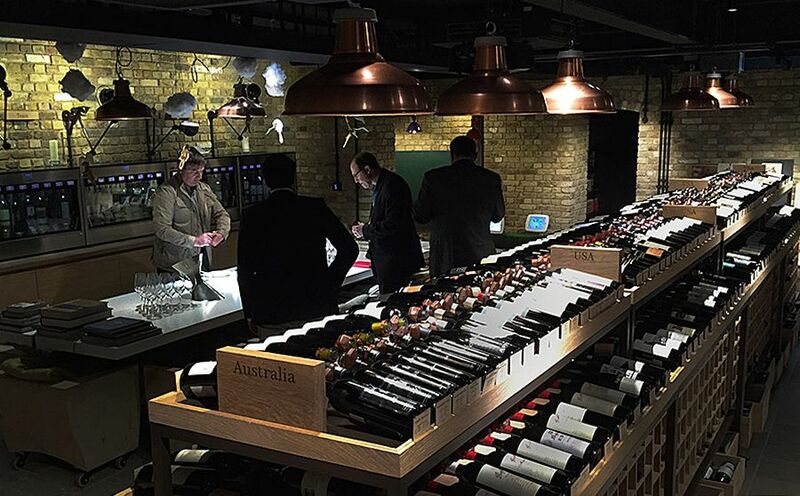 Australian Wine in the UK ? Much has been said on this topic already. I think that there are various strands to that question, all primarily market based. 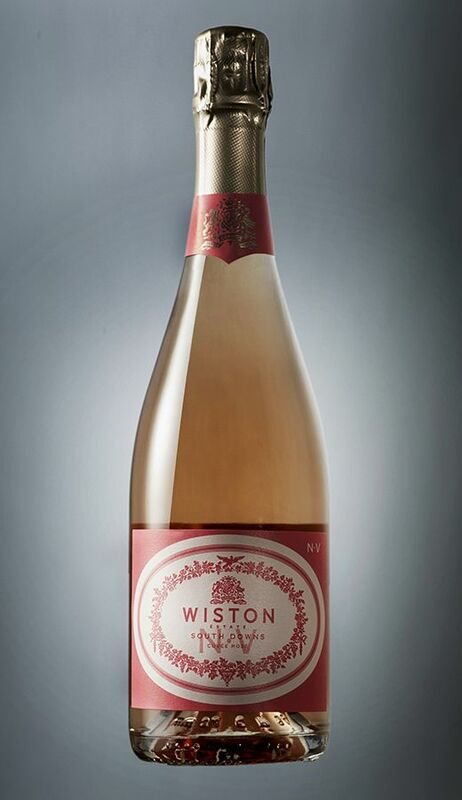 For mass-market exporters to the UK, retailers are looking to sell wines cheaply or on price alone. Wine sales in a UK supermarket. Clearly there’s been a situation in which the Australian wine industry has catered to promotions and discounting in the supermarkets. A lot of wine has been sold on promotion which creates expectations and generally speaking has probably dented the image. Yet the wines we see on the high street and in supermarkets do not really represent the quality that is coming out of Australia on the whole. If you’re in the 10%-odd of people buying wine in independent wine stores, restaurants, wine bars and upmarket hotels, then perhaps you do realise that Australia is capable of broad diversity in its many regions and outstanding quality. So it’s basically a dichotomy; there are two markets. It doesn’t really worry me, it’s really no different in Australia either. 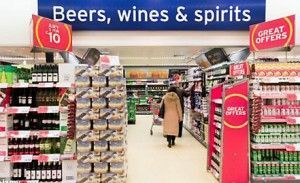 Frankly it will always be that way to an extent: a twin track market at the very least with a mass-market base of the pyramid in which price is a priority and a smaller minority of wine drinkers prepared to pay more for quality, individuality and personality. The latter is the world that interests and excites me. The paper you write for is the Independent. Which market are you writing for, and how is it different to the Magazines you work with ? The short answer is, I don’t really know, but over the years I’ve come to suspect that the audience you write for in the newspaper is quite different from the magazine audience. You don’t have the captive audience that you have in a magazine. The people buying a magazine know what they want to hear, they want to read about interesting wines, quality wines, wines with a story, wines with a human personality, wines with a soul, wines they can collect and so on. In the case of the newspaper, you have no expectations , so you have to tailor your article to the person who may not be that greatly interested in wine. If you can somehow pique their interest with a bit of a story, humour, entertainment, information, they might just read your piece and get hold of an interesting wine they may never have tried. It’s a constant challenge of communicating the joys of wine and trying to draw people into it. When you come to blogs and bloggers, that’s another world; having an editor is a great discipline and the best are those who are good at editing themselves. What’s in your cellar ? Right now I’m not sure. What I mean is I keep some wine at home and a lock-up basement in East London. Earlier in the year I opened the door to discover a flood, and some of my prize wooden boxes starting to go mouldy and wines in cardboard boxes had fallen off the shelves onto the floor and were wallowing in the mud on the floor. I got the people who run the place to stop the ingress of water, and I said I’m not going back for three months. One of the problems with the flood was a lot of labels floated off, it was traumatic. I went back three months later and the damage had not been as bad as I’d thought. I realised though that I had to separate the sheep from the goats. I had to move the sheep i.e. the most highly prize wines, out of the cellar into a credible storage space with good temperature control, good humidity, and good conditions, something I had been telling people for years, and to leave the ones I knew I would be drinking over the next few days, weeks and months. When I first started my cellar 25 years ago, it was all about Bordeaux. Over the years, I’ve realised there’s more to life than just Bordeaux and so I’ve added Burgundy, Champagne, Rhône plus Barolo and Tuscan reds. I have a few white burgundies and some German Rieslings, and few cases of wines from Australia, New Zealand, South Africa and Argentina. I feel the better for having diversified. Memorable wines or bars ? 1982 vintage Château Cos d’Estournel. I first bought Bordeaux en primeur in the 1982 vintage. It was Château Cos d’Estournel. I bought a case, it’s the wine that keeps on giving. Unbelievably, I don’t know how, but I still I still have a couple bottles. I really don’t know how that happened, because I seem to have drunk it regularly over the last 30 years. 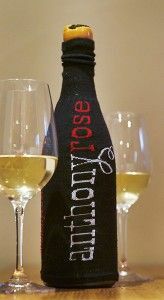 It was one of the wines I first drank with Charmaine when we first started going out. I must have impressed her that I was a man of substance and it became one of our favourite wines too, as is much top Bordeaux. One night I was invited to dinner by the late Edmund Penning Rowsell, then the Financial Times’ wine correspondent. 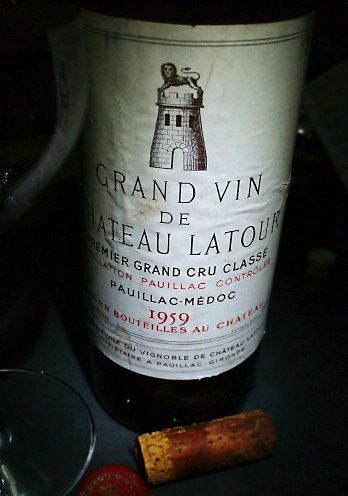 We looked around his Aladdin’s Cave of a cellar and he produced a 1961 Château Latour. That was certainly one of the greatest wines I’ve drunk, an unforgettable experience. When that happens, it’s not so much a wine as a great bottle, a combination of the wine, the company and the experience. It doesn’t necessarily have to be a great wine even. When I proposed to Charmaine, we were in an Italian restaurant in Adelaide. I took along a bottle one of my favourite Chiantis, Isole e Olena, and I asked her how she would feel if I were to suggest that perhaps we might get married. That was my legal training coming into play when I popped the question. She said “oh well I can see that” . In a roundabout way that wine led to us tying the knot so to speak. That bottle still has great memories for me and it’s an excellent wine, but its Supertuscan sibling, Cepparello, is even better. One of the problems with wine prices escalating to ludicrous amounts these days is that some wines are so astronomically expensive that it’s easy to equate the expectation with the actual price of the wine, and that can only spell disaster. 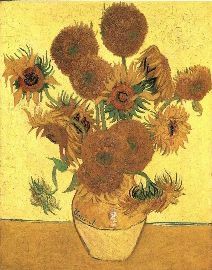 How many people, if they were to see Van Gogh’s ‘Sunflowers’ for the first time, would say it was worth £50 million? Wine can be like that. Apart from the fact you love wine how have you maintain your interest ? You’ve got to earn a crust haven’t you. Seriously though, I think the simple answer is luckily with no difficulty whatsoever, because wine is such an endlessly fascinating, enjoyable and life-enhancing subject that it carries you along with it. You don’t have to think about maintaining an interest when it automatically works for you. There’s just so much to the world of wine: starting in the vineyard and ending up on the dinner table and all the many things that go on between. Each wine has its own individuality, its own personality, an endless kaleidoscope of permutations and combinations that are never anything less than fascinating. It was different when I was a lawyer, meeting clients with problems with their marriages, their houses, their jobs; dealing with police, other lawyers and magistrates. I could hardly walk down a street without thinking about the legal consequences. In wine, there are enough funny, interesting and exceptional characters to fuel a lifetime of interest and enjoyment. 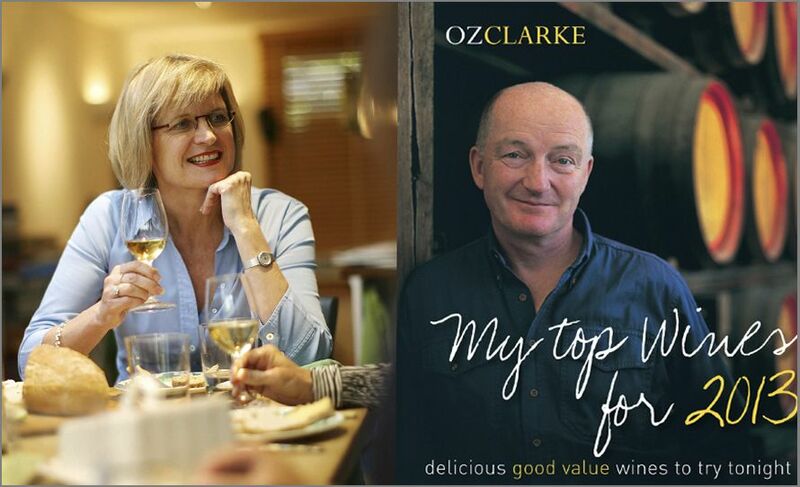 Oz Clarke and Jancis Robinson MW. When I started getting interested in wine they were people of my generation who were already successful and were speaking a language I could understand. 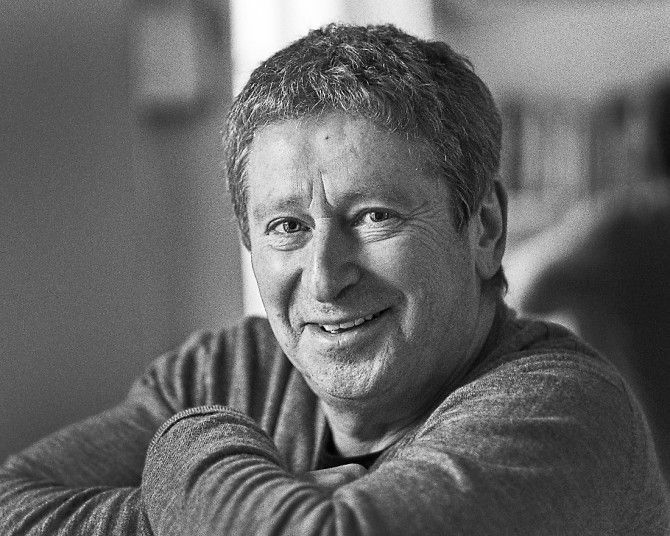 Nick Faith, author of the Winemasters of Bordeaux, was another influence. Before that I thought wine was elitist and I didn’t really think I belonged, but Oz and Jancis spoke my language and they were brilliant, and they have been consistently brilliant throughout their careers. 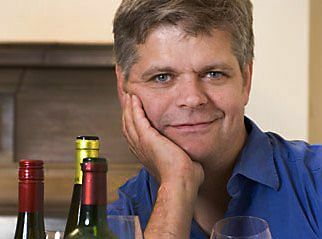 David Gleave MW. Photo supplied. The late Len Evans was a huge influence. He was instrumental in getting me to Australia for the first time and a mentor. 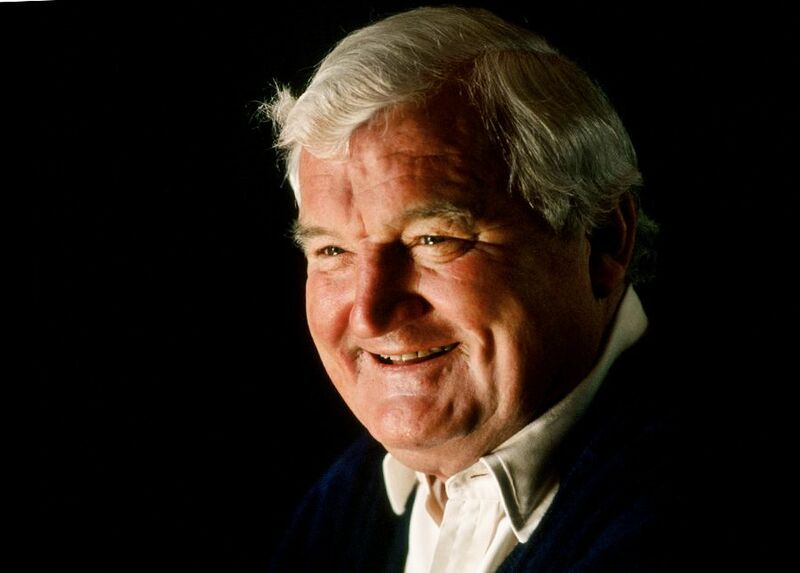 He was one of the most inspirational people I had ever met when it came to learning about wine. He was very generous with his time and with his wine, with just about everything actually. Len always wanted you to try great bottles, knowing that they were the yardstick by which all other wines could be measured. My father influenced me, as I mentioned. He had been told by his doctors he shouldn’t drink but even when he couldnt drink it, he still liked to ‘nose’ it. I’ve always admired James Halliday too, and David Gleave MW, who kickstarted my love of Italian wine. It’s the best job in the world, isn’t, it?